I love a bit of social history and I loved the idea of a women’s suffrage tea cosy. 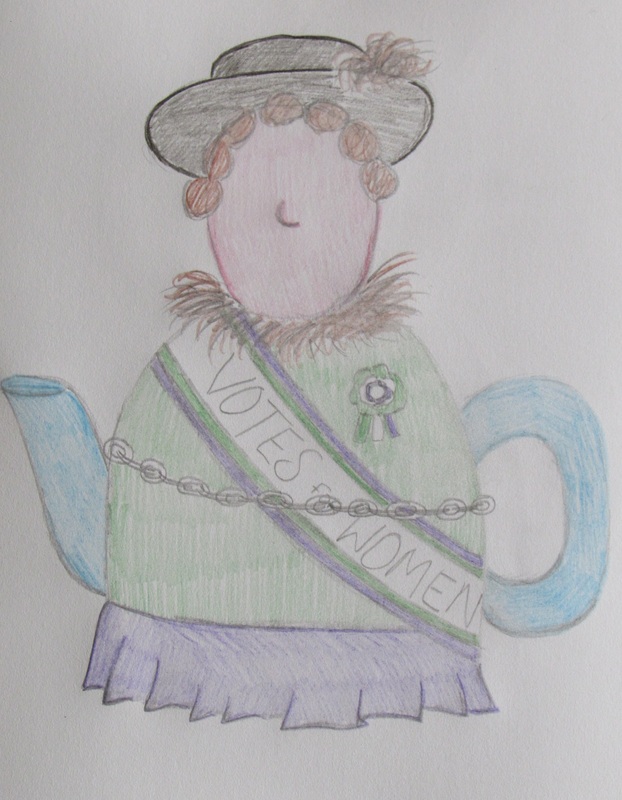 The tea cosy will be knitted in shades of green and purple and as well as a ‘Votes for Women’ sash the tea cosy will also have a suffragette rosette. 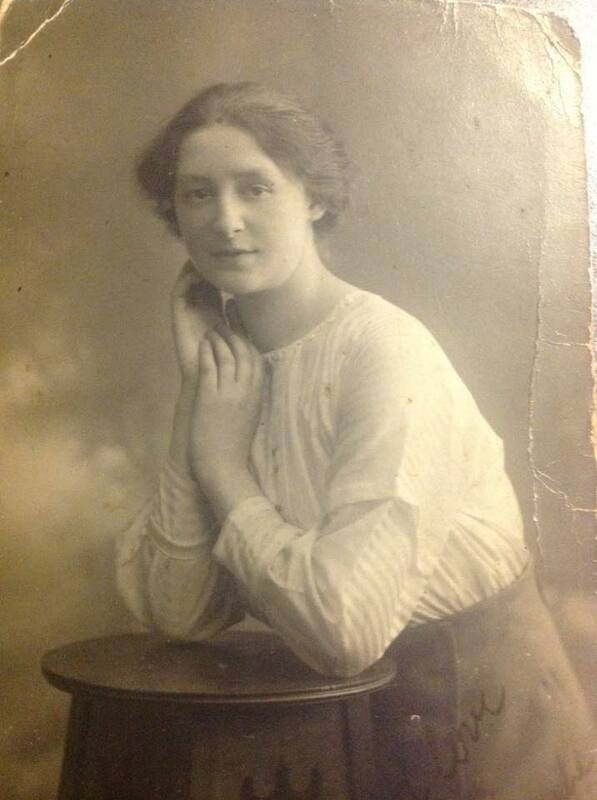 I have studied photos of the time and the photos of the Pankhurst’s, and I found, particularly with Emmeline Pankhurst that some were very well dressed and well to do women. Emily Wilding Davison who was hit and killed by King George V’s horse at the 1913 Epsom Derby has a striking photo of her wearing a feather boa around her neck, and I wanted to include something on the tea cosy that echoed this image. With that in mind, the Suffragette tea cosy design had the lady wearing a nice hat and a fur stole or boa like collar, I shall use an eyelash yarn to achieve the effect of fur or feathers. As part of their more peaceful demonstrations the suffragettes chained themselves to railings. I thought I’d include a chain in my design but instead of railings, I thought I'd chain her to the teapot. The commemorative fifty pence coins also include railings in their design. Personally, I am very grateful to the suffragettes and I value my vote that they won my right to have. The suffragette tea cosy army will feel like a tribute to the battles these women fought on our behalf.